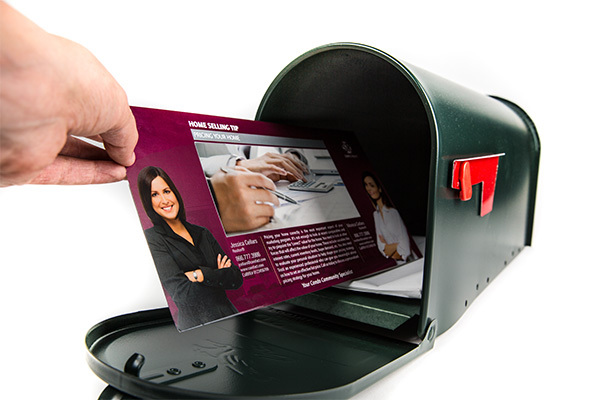 High-end quality printing meets lead generation. The goal of our marketing system is to help you generate leads and list more properties. And once you get a listing, our comprehensive suite of property promotion products gives you all the tools you need to market your listings. Every top agent builds their brand on consistent marketing. Become the best-known agent in your market with Corefact Elite. Get a professional, handpicked 12-month direct mailing marketing plan that keeps your brand in front of your farm consistently. We offer three tiers of service so that you can dominate your market at any stage in your career. One platform for all your listing promotions. Simply enter all your listing information just once, then quickly apply it to multiple promotional products. With a suite of consistent products all on one platform, you can effectively promote your listing and save a lot of time. ListAssist offers a mobile friendly single property website, Property Flyer Signs, property flyers, door hangers, and postcards. Get the neighborhood talking with consistent and professional designs. Postcards are an ideal way to demonstrate your proof of production to your farm and/or sphere of influence. Corefact takes this proven business-building practice and improves on it by providing a capture marketing element that drives new prospects to a landing page so you can follow up with your best leads. Property Flyers are an indispensable property marketing tool, and a direct reflection on the quality of your service delivery. Make the best impression possible with these high-quality, well-designed flyers that communicate your high level of professionalism. The Home Estimate Series provides homeowners with a call-to-action that addresses the one issue they care about most - the value of their home! This series also provides the recipient with a map of their neighborhood that displays current market activity. Additional tools and information online provide a rich real estate experience, helping convert these captured leads into clients. Most homeowners are very curious to know the value of their home, and a market update is a snapshot of just that. Adding our map and Home Estimate to your market update gives you a strong call to action and lets you visually show the sold homes on a map based on the address. The most effective promotional tool available is to demonstrate proof of production. This can be either listings you sold, or buyers you represented in a sale. The Proof of Production Series combines information on homes you've sold with our capture key code to position you as a results-oriented real estate professional who is best equipped to sell the prospect's home. Seasonal marketing is a good excuse to contact your sphere of influence and farm, because it applies to everyone and can be done year-round. Whether it is the traditional holidays or items like sport schedules, you can order one at a time or set up a campaign to go out through the year. The keys to marketing well are to be consistent, have a steady frequency and provide relevant content. We’ve got that covered. Our store has a section of postcards that are perfect to use as a drip campaign. You can customize any campaign to fit your marketing. You can get all of your basic business supplies in our store including business cards, stationary, notepads and note cards. Use your company's design or upload your own custom design. It's easy. It's vitally important to continually look for fresh and exciting ways to get your message out into the world. Door hangers get your target audience to take notice of you on a whole new level. Try a Just Listed, Open House or local community events calendar for a quick, affordable and highly targeted marketing piece.